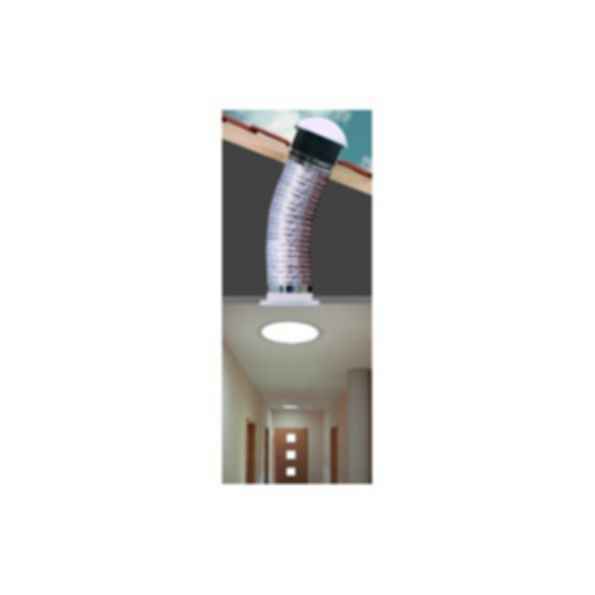 The SLT light tunnel is a entirely new FAKRO product designed to bring plenty natural light to every part of a property. It makes it possible to brighten all rooms in the building, even those which cannot be fitted with roof windows or vertical windows. Dimly lit inside rooms such as bathrooms, dressing rooms, corridors, staircases or basements can be above all uncomfortable to use. Thanks to the light tunnel, natural light can now be used throughout a building enhancing the user's comfort, and saving electricity. The SLT light tunnel leads daylight which enters the light spreading tube through a dome mounted onto the roof. The sun's rays are reflected off the walls of the flexible tube on to the light diffuser fitted into an internal ceiling. The diffuser spreads the light, evenly lighting the whole inside of the room. The light tunnel may also be used at night by installing a light kit. FAKRO is a private, family owned company which employs over 3300 workers all over the world. Established in 1991 by Ryszard Florek in Nowy Sacz, FAKRO has become the most dynamic and fastest growing company of skylights and attic ladders in the world, with products sold in such countries as UK, Austria, Spain, the Netherlands, Ireland, Germany, Poland, Russia and Hungary. It is no wonder that FAKRO is one of the top distributors of attic ladders and skylights in the world, always improving and updating technologies.